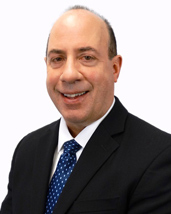 John C. Scaffidi, is Vice President and Sales Manager of the Wisconsin Division of MSI. John has been in the Mortgage Industry for 30 years. He started out in Banking in 1983 and has been active in mortgage lending since that time. John came to MSI after he sold his mortgage company Complete Mortgage, Inc. to MSI in May of 2010. John specializes in all facets of the mortgage experience. When working with John’s team, you are offered a different twist to the mortgage process as we originate, underwrite, and close all of our loans at our office. This gives his team the complete understanding and service that the consumer needs when choosing a lender. John graduated from the University of Wisconsin La Crosse in 1982. John is married to Sandra his wife of 29 years and has one daughter Maria who is an elementary school teacher in Hartland, WI.